Jenny Kemp investigates organic form and color as a way to create abstract images that serve to replace feelings, ideas and other unseen phenomenon into densely colored abstractions. The organic nature of her work stems from contemplations on human beings and our unquestionable relationship to organic matter. Kemp approaches composition centrally on paper, creating bodies in space that are frontal to the viewer, examining ways of yielding formal variety. Considering these bodies as presented cross-sections, revealing realms inside that Kemp abstracts from images of natural organisms, psychedelic patterns, and early modern abstraction. 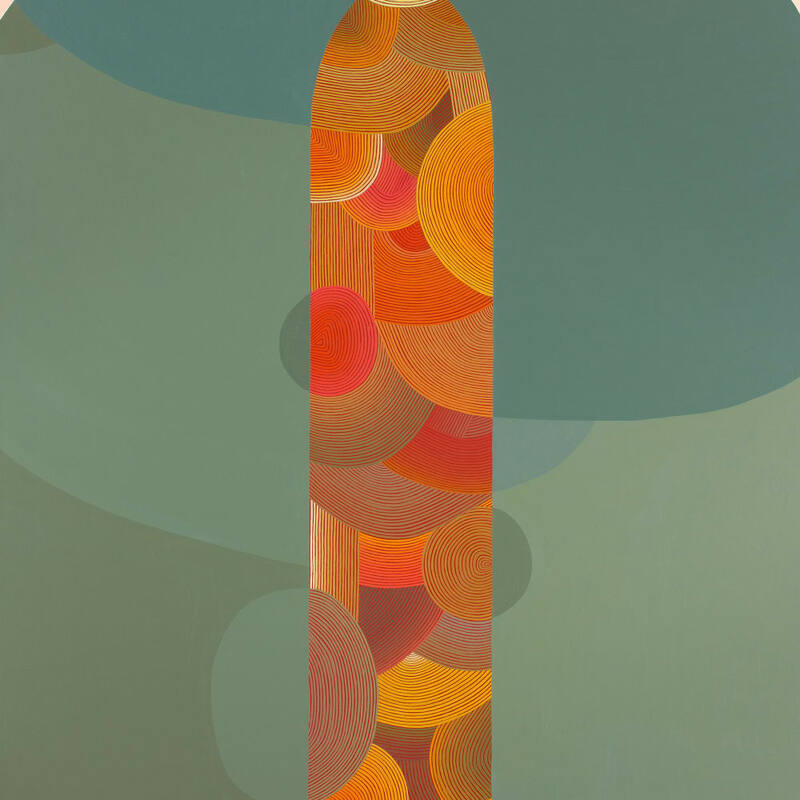 Jenny Kemp received her Bachelors degree in studio art from the University of Wisconsin – Madison and her MFA in Painting from the University at Albany. Her work has been exhibited in galleries and museums across the country, a two-person show at Middle Tennessee State University and an invitational exhibition at The Painting Center in NYC. She has been featured in publications such as 100 Painters of Tomorrow published by Thames & Hudson, The Huffington Post, Seattle’s City Arts, LUXE, NY Times, Fabrik, and Apogee magazines. She is the 2015 recipient of The Arts Center of the Capital Region’s Emerging Artist Award. She has taught as a visiting professor at Middlebury College in Middlebury, VT and SUNY University at Albany. She currently sits on the board of Collar Works, a not-for-profit, artist run exhibition space in the Capital Region of New York.